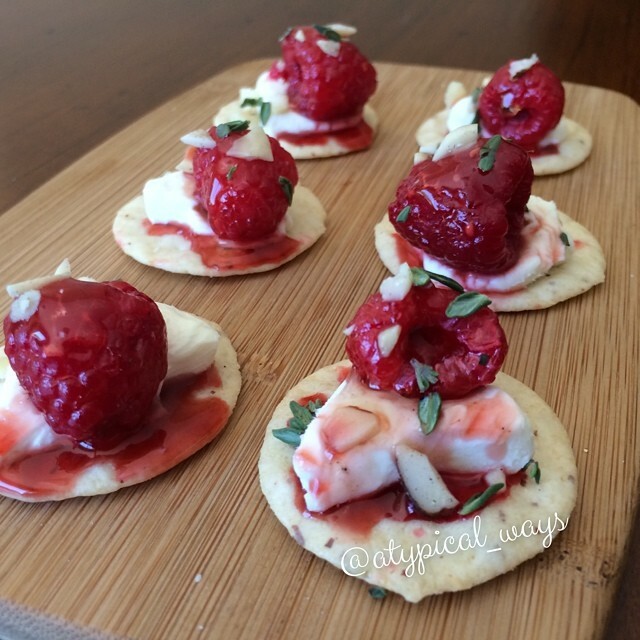 Brie cheese & nut thins topped with honeyed Raspberries, Almonds & fresh Thyme! 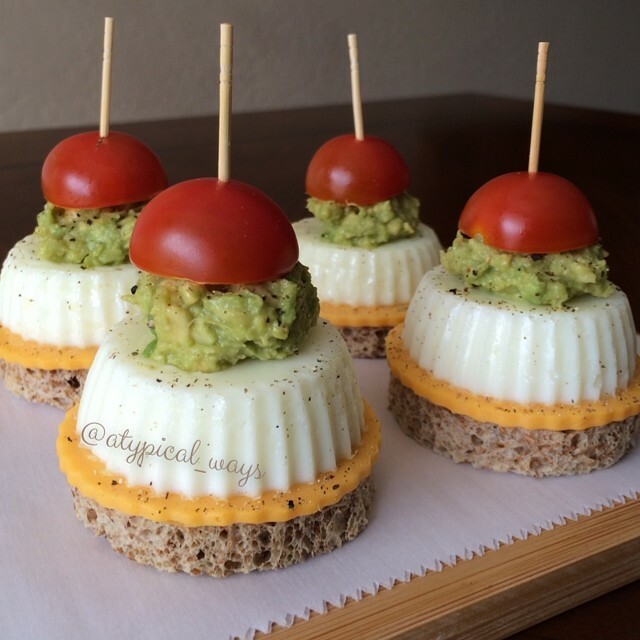 Great little 200 calorie snack. 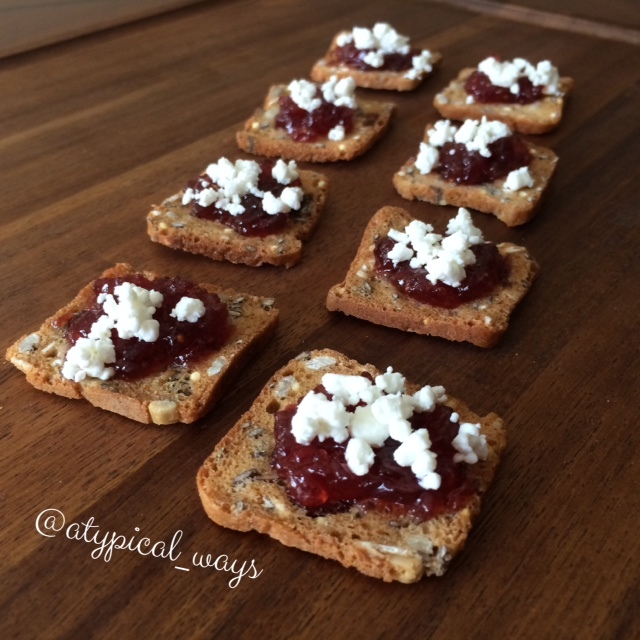 I quickly warmed the raspberries with a little honey in the microwave for about 20 seconds and then topped the cheese & crackers. Serve with some fresh thyme & almonds slices sprinkled on top. Yum!